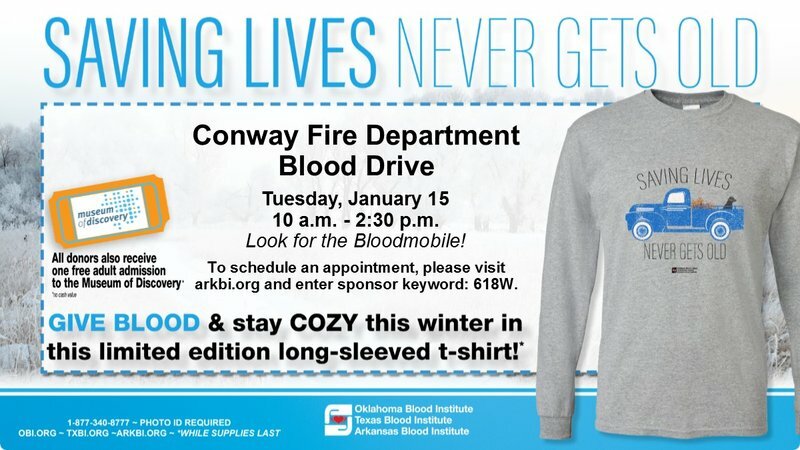 Arkansas Blood Institute is urging all healthy adults, ages 16 and up, to take only about an hour of their time to give blood at the Central Fire Station on Caldwell Avenue from 10:00 a.m. to 2:30 p.m. As an added incentive, Museum of Discovery is teaming up with Arkansas Blood Institute to encourage residents to give the gift of life in 2019. One blood donation can save as many as three lives, and the supply must be constantly renewed. As a non-profit blood center, Arkansas Blood Institute’s donors provide every drop of blood needed for patients in more than 40 hospitals in Arkansas. Appointments to give blood are not required but can be made by clicking here to search for blood drives in your area or calling (877) 340-8777. *No cash value. 16-year-olds must weigh at least 125 pounds and provide signed parental permission; 17-year-olds must weigh at least 125 pounds; 18+ year olds must weigh at least 110 pounds.